Impact mitigation practices are currently one of the hottest topics in conservation and regarded as priorities worldwide. 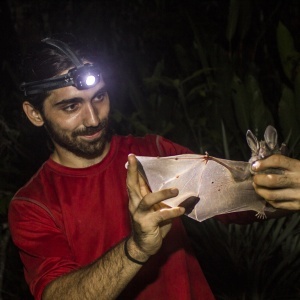 Forest bat populations are known to provide important ecosystem services such as pest control and bat boxes have become one of the most popular management options for counteracting the loss of roosts. However, bat boxes tend to be employed in non-native forests near highly humanized areas where human disturbance is higher. The aim of this study was to evaluate how the surrounding landscape composition affects bat box occupancy in urban non-native forests along the Mediterranean corridor in the Northeastern Iberian Peninsula. Two hundred wooden bat boxes were monitored in young non-native forests in the period 2004–2012. The influence of land cover on occupancy rate of bat boxes was analysed at the landscape level in a 5 km buffer around bat-box stations. In total, 1659 inspections were carried out, in which a 15 % occupancy rate was detected. Bat boxes hosted three different species (Pipistrellus pygmaeus, Pipistrellus kuhlii and Nyctalus leisleri). More than 70 % of the occupancy can be explained by habitat and spatial composition. The presence of urban areas around bat boxes tends to have a negative impact on bat occupation rates; by contrast, forest coverage has a positive effect, especially for the tree-dwelling bats. These patterns could be associated with the large number of available roosts in buildings, microhabitat or phylopatry. Thus, to increase success, we suggest that landscape composition should be considered when using bat boxes for conservation.